A few weeks back I wrote about my hands-on experience with Monster Energy Supercross. In it, I began by stating the simple truth that Milestone’s games have, for the most part, been serviceable at best. During my attendance at Milestone’s studios in Milan, I was able to have a hands-on experience more than just Monster Energy Supercross. While Supercross was more of a happy surprise, I went in expecting things of Gravel. 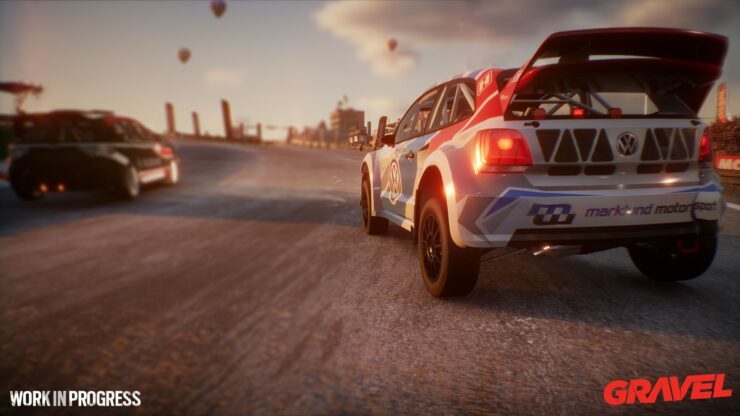 So much that it featured in my list of the most anticipated racing games of the year. Thankfully, the game looks like it will more than deliver. Accessibility is a problem I certainly think the racing genre has at the moment. With few exceptions, the genre is focused on realistic simulations with very few alternatives. Milestone S.r.L have also focused a lot on simulation in their games. From their MotoGP and MXGP series of titles, to RIDE and Sébastien Loeb Rally Evo. Few, if any, have aimed for a more relaxed, old school style of gameplay. This is where Gravel comes in. Taking place on the fictional Gravel Channel, you’ll take to the wilderness, tracks and stadiums around the world and race your heart out. Releasing in just three weeks, Gravel looks to oppose this trend and take on an arcade-style world tour. 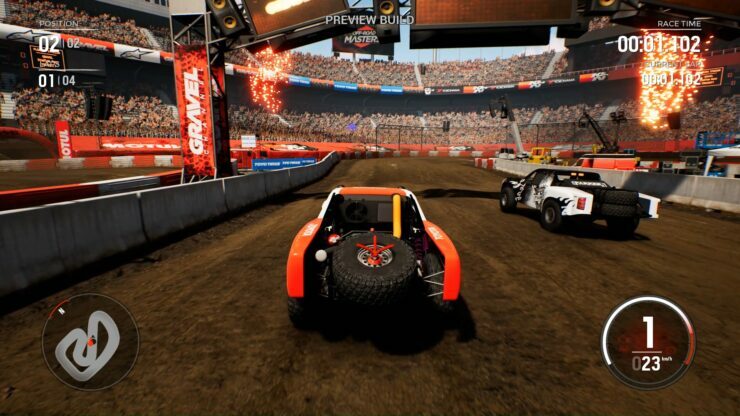 The game features races from across four disciplines: Cross Country, Wild Rush, Speed Cross and Stadium Circuit. Cross Country is a simple point to point race. Wild Rush is a track out in the wilderness. Speed Cross is rallycross, just faster. Stadium Circuit is fairly self-explanatory. 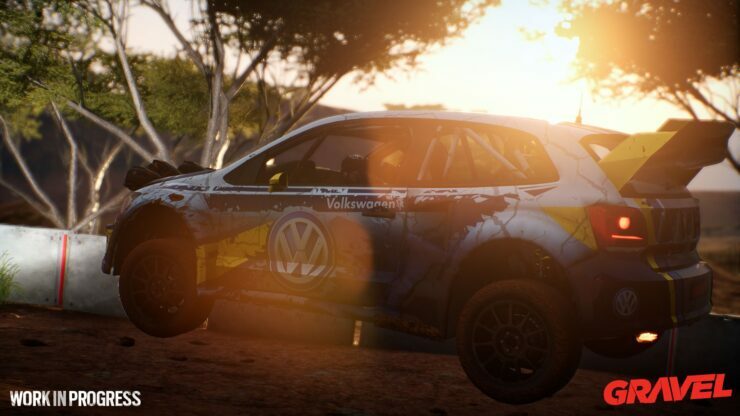 Simply put, you’ll be racing across a wide variety of off-road terrain, and some on-road, in your bid to be the champion. During my hands on, I was able to experience all four game types and a few of the variations within them. Without a shadow of the doubt, this is the best gameplay experience you’ll find in a Milestone game. It’s not arcade in the same vein as Need for Speed. The best way to describe the game is compromise. The game still requires some skill and understanding of how cars drive. Gravel is actually the first game that Milestone have developed using Unreal Engine 4. While other titles have been released by the company using that engine, it’s due to the length of time the company has been developing Gravel. The use of UE4 and the move away from their older in-house engine shows, with great visuals. This is particularly true in the wilderness maps, as an area opens up and you can see the world in front of you. All of this was running perfectly smoothly at a crisp 60fps at a 4K resolution. Nothing has been said regarding console targets yet, though. The use of the engine goes further than the aesthetics. Tracks actively deform over repeated laps, meaning a rut can get worse and worse until it throws you out. As for the handling. The physics of Gravel are just right. While the cars aren’t too realistic in the sense that the slightest mishap can cost you the world, they’ll still punish you for straying too far out of the lines. The feeling of drifting along, watching your score tick up as you link multiple drifts and stunts together is quite brilliant. Fortunately, the aim for a more middle ground has let Gravel keep in elements from the more simulation oriented titles. A performance affecting damage system is fully in-place, should you want to turn it on. You can fully tune the cars to your liking, adding that bit of edge – or taking something away if you’re anything like me at tuning in-game cars. The AI will also prove to be a satisfying challenge too, pouncing on any mistake you make. Though that’s what the rewind feature is for. Launching with over sixty cars and a surprisingly large number of tracks, Gravel will have a lot to keep you occupied with. Beyond the career, you can simply jump in and race any track you like. As expected, you can change the difficulty, weather and more to your liking in this mode. Always good is the fact that these modifiers aren’t placed in loot crates. One questionable move is that Milestone have already confirmed an 11 piece DLC plan. This includes the pre-order bonus and a mixture of free and paid for DLC’s with the other ten. This does, however, show that the company plans on supporting the game for a long period of time. Much like Monster Energy Supercross, Gravel could mark a turning point for Milestone. These two titles surpass the company’s previous titles in so many ways. 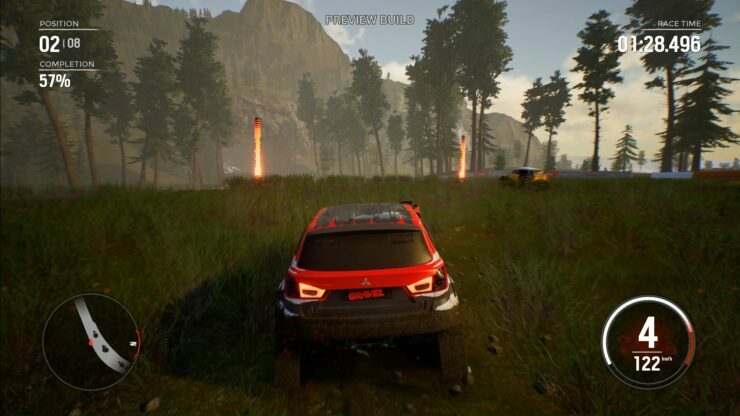 Learning from their past and developing on Unreal Engine 4, as well as the use of the many partnerships they have with car and motorbike companies, the company is in a very strong position for the future. Are you looking to play a racing game that’s got some old fashioned values? Values like a bit of pure, old, fun? Then this may be the game for you. Certainly keep your eye out for Gravel which will be launching in three weeks, February 27th, for the PC, PlayStation 4 and Xbox One. As with Supercross, please watch and enjoy some gameplay footage that I was able to capture. MXGP Pro Review – Déjà vu?